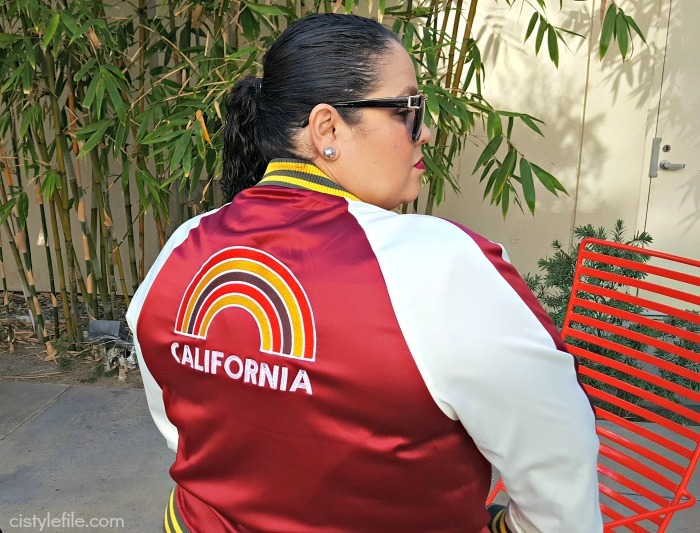 I'm excited to feature another look for the Fab 40's challenge. 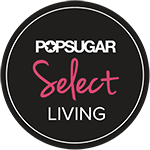 Every month a group of fabulous fashion bloggers over 40 team up to do our own interpretation of a style theme. 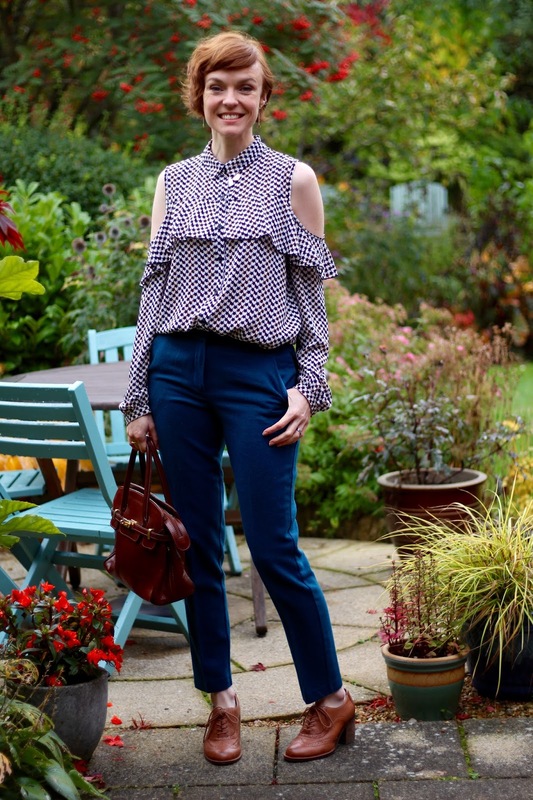 This month Ann of Kremb De La Kremb chose preppy for October. OK I know you're thinking, its actually November 1st today. I was out of town for a few days and wasn't able to post on Monday, our designated day. Well I didn't want to miss out on this months fun preppy theme, so here I am a day late. 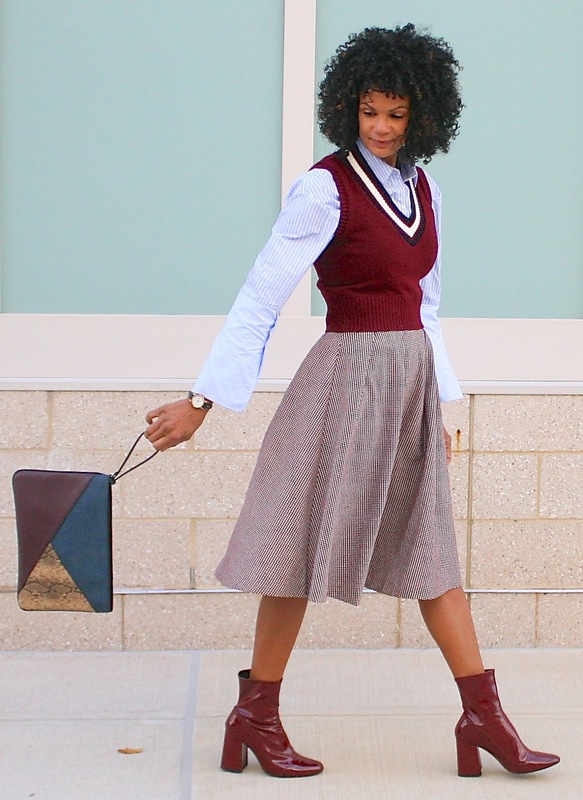 Here is my interpretation of a preppy fall look. I must admit, preppy style hasn't really been on my radar. I know what preppy style is and what it's about, but being some what of a rebel it hasn't always appealed to me. Preppy style is usually associated with wealth, old world standards of society and conformity. Which is actually total opposite of my up bringing and way of life. I do enjoy some of the elements of preppy style, such as loafers, plaid and cardigans...etc. I occasionally incorporate a few of these elements in my outfits, but never all together. This months Fab 40's theme was a bit a challenge and I didn't want to disappoint my fellow bloggers. I do admit to doing a bit of googling and research for this look. Apparently I wasn't the only one, a few of the other Fab 40's bloggers did so as well. 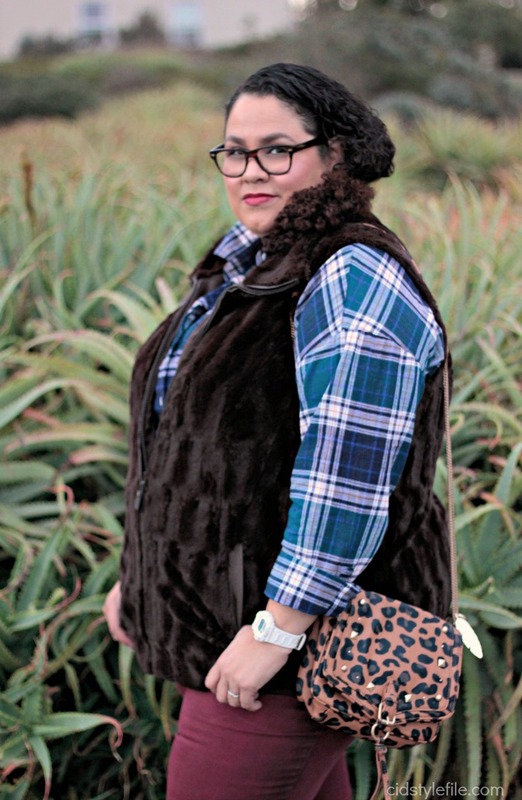 The day I took these pictures it was bit chilly, so I went with the faux fur vest. After complaining of not having Fall weather in California in my previous post, we actually got rain and cooler temps! Weather was just right for a cozy preppy look. My look is very casual and comfy with elements of preppy style. Preppy style seems very structured with classic clean lines. Like I mentioned before being a rebel, I added my own twist to a classic preppy style. 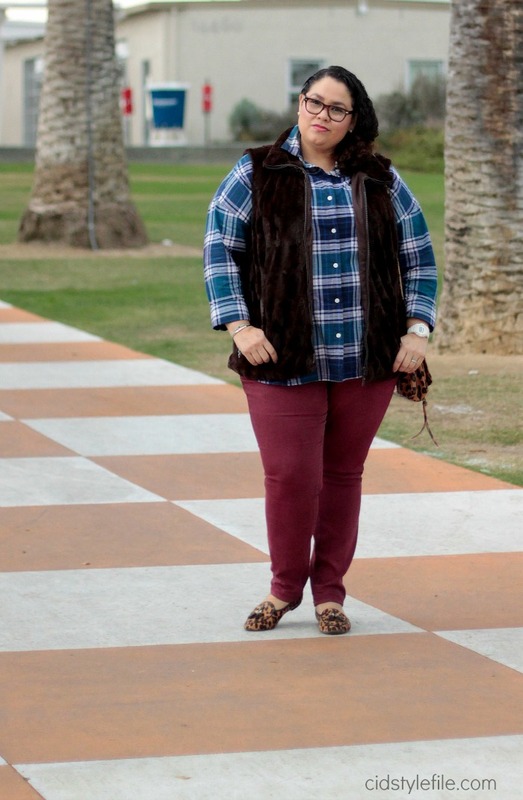 Mixed prints, plaid and leopard as well as adding the faux fur vest. Is this a true preppy look? Probably not...but this is how I do preppy style. I did however wear my glasses to make it more official, usually I'm wearing sunglasses. For this look I felt it was more "preppyish" to wear my glasses. Now for the fabulous ladies of The Fab 40's with their own preppy looks. Ann from Kremb De La Kremb chose this months preppy theme. She so happens to be a librarian and this theme is so perfect for her profession. 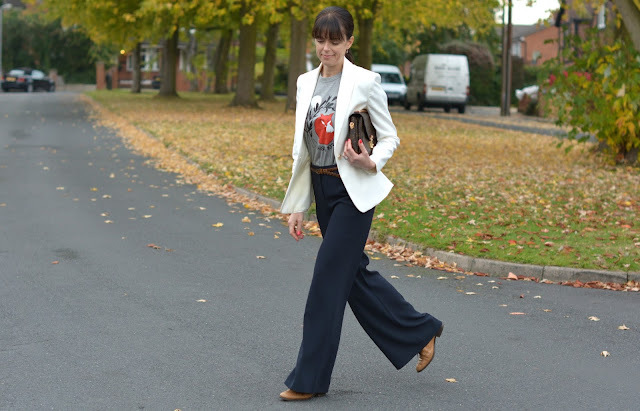 Ann always manages to add an edge to her outfits, like she did here with the graphic tee. Jennie from A Pocketful of Polka Dots is our resident prepster. 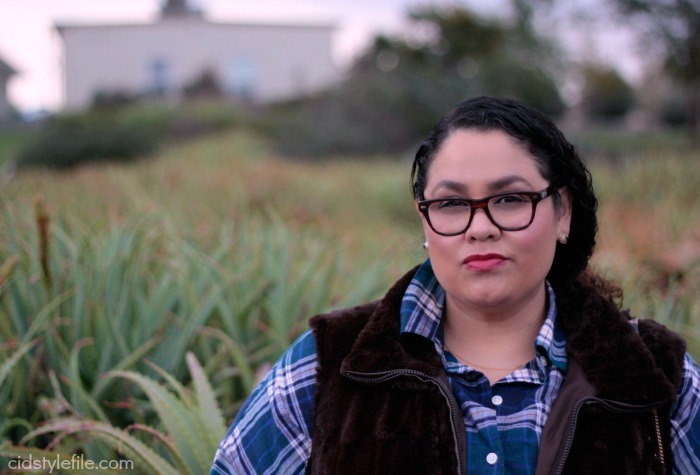 She nailed the look with her navy blazer, pearls and classic riding boots. I do love how she still looks a bit edgy with her bright colored hair! Such a rebel, that's my kind a girl! Diane from Fashion On The 4th Floor, is too adorable in her preppy look. We missed her last month with the hats theme, but she is definitely make it up this month. Those red patent boots are amazing, she looks so gorgeous as prep. Samantha from Fake Fabulous nailed preppy style. She always knows how to mix just the right colors and prints. I love her traditional look with an nontraditional detail in the cold shoulder top. 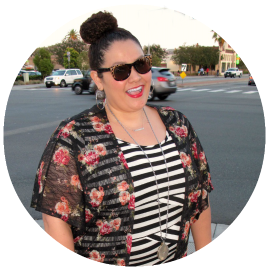 Mary from CurlyByrdie Chirps keeping playful with her stripes and very classic preppy style with the sweater wrapped around her shoulders. Those knee high socks take me back to my junior high school days. I love her smile and pose in this picture, very preppy! You have heard me rave about Sheela's looks from Sheela Writes many times. Every month she wows me with her style, this month she really went for it with her pretty posh preppy look, a la Blair Waldorf. Sheela kept true with her style by adding the distressed jeans and a pair of heels from her extensive collection of shoes. 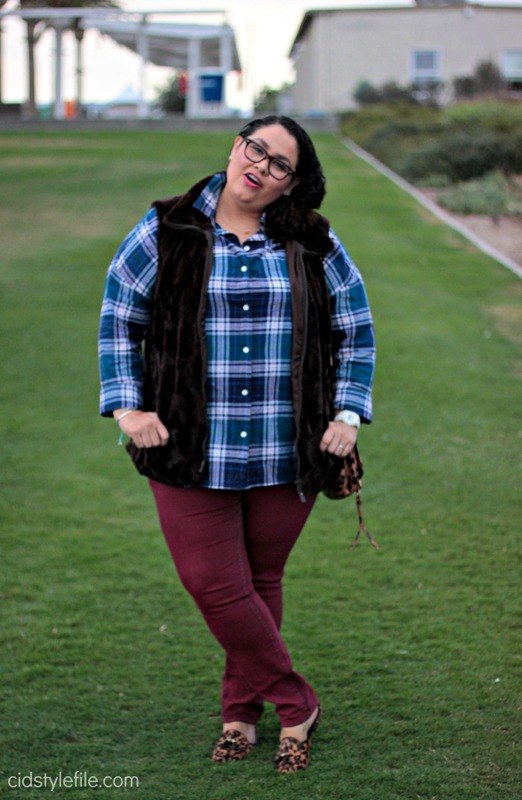 This chic preppy lady is Michelle from RetroChicMama, our guest blogger this month. Ann invited Michelle to join the Fab 40's, and grace us with her vintage vibe. I feel Michelle's look has a 70's preppy vibe with a modern twist. Do go check out her blog for more retro vibe inspired style. There you have it is another monthly installment of The Fab 40's. Proving style is ageless and no matter your age or size...we can all be stylish and fabulous! Hope you enjoyed this months theme, go visit all my lovely Fab 40's friends to see more of their preppy looks and outfit details. Are you a fan of preppy style? I admit that I googled first what the preppy style is. I learnt something new. I think that you achieve this look without loosing yourself. Great colors and I love the vest. Thank you for linking up with My Red Carpet. 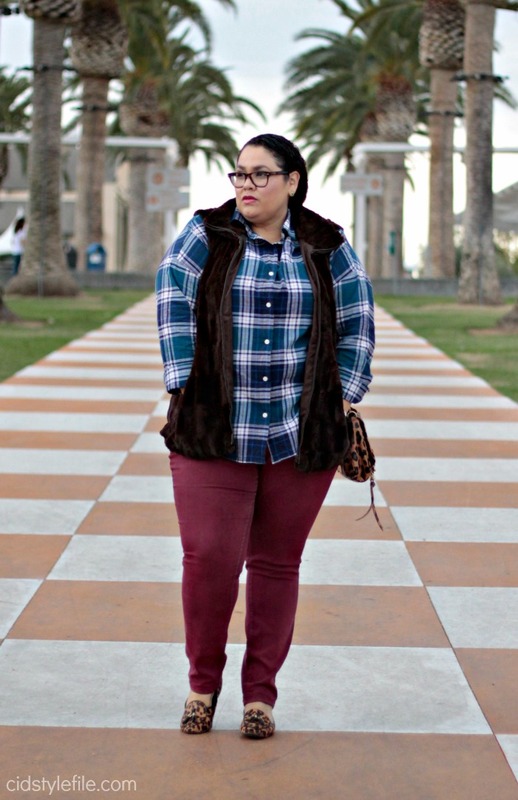 I really like the juxtaposition of your fur vest and the plaid shirt - it works incredible well. I really like the touch of leopard you incorporated into your look, too. I am starting to get excited about this month's theme! on Replica Rolex Watches the case. Oyster case Rolex UK Replica watches give precise movement of the most sophisticated protection, making it against water, dust, Designer handbags pressure and impact damage.A Kalamazoo man accused of robbing a down town Brighton jewelry store has entered Watches Replica a plea.Darvon Lawan Smith Jr. pleaded guilty Friday in Livingston County Circuit handbag replica Court as charged to armed robbery in connection with the 2014 smash-and-grab .